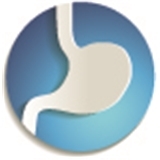 Digestive Medical Care of Long Island (East Meadow) - Book Appointment Online! We strive to provide the highest quality specialized medical care in Gastroenterology and Hepatology in an evidence-based manner. The practice is committed to efficient, compassionate and comprehensive care delivered with the highest degree of professionalism. Our dedicated staff is patient- centered and committed to excellence. Our staff is multilingual (Spanish, Hindi, Punjabi) and available around the clock to address your concerns. We proudly serve the communities of Nassau and Suffolk counties and Queens. Office hours throughout the week including weekend and evening hours. We offer procedures (i.e. Endoscopy, Colonoscopy) on weekends. In-office treatment of hemorrhoids that do not require sedation. Most procedures scheduled within 2 weeks.